We will provide you with rentals and maintenance on-site or at our shop for your convenience. We’ll match any reasonable bid to prove our excellence. QuickLifts, LLC is an Indiana owned and operated company located in Indianapolis. QuickLifts specializes in a variety of equipment and services to help you get your job completed on-time and on budget. With our new fleet of JLG Scissors, Knuckles, and Personnel lifts you can count on quality construction equipment to be delivered to your jobsite. Whether you’re in the market to purchase or rent, we have the tools you need to get the job done. QuickLifts can also assist with your dirt work by using our Excavators, Backhoes, or Skidsteers. Have a problem with your company’s equipment that’s been damaged or needs regular maintenance. Let QuickLifts skilled mechanics resolve your issues on the jobsite or our service center. Why Choose QuickLifts, LLC for Your Construction Equipment Needs? Assurance – We assure you the right equipment for your job will show up on time, every time. We Deliver – We deliver performance and dependability directly to your jobsite. Our Performance – Our performance is essential to your performance. Our team will make sure your lift is clean, inspected, properly serviced and ready to work when you’re ready to work. We Match – We’ll match any reasonable competitors bid to provide our excellence. 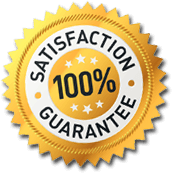 Reliability – You can count on QuickLifts, LLC to be helpful and efficient with all your lift and equipment needs.